'Tis the season.....for baking cookies, drinking hot cocoa, and spending time with some of your favorite family and friends. And....... DRY skin. Where I am (NY), it's inevitable; as soon as the furnace kicks on full time, out come the humidifiers, the cold/allergy medicine and the heavy creams and lotions. My oldest has cold weather induced asthma, and my youngest has eczema which flares up this time of year. I, personally, have a pet peeve with dry skin, especially on my hands. This becomes even more of an issue during the colder months because the air is much drier, cleaning tends to be more frequent (because we are indoors more, no one here knows how to take their boots off when they come in from the snow, and those pesky germs are intruding my house) and hand washing reaches a whole new level of constant. You can imagine my relief (and excitement) when I received a complimentary package full of Udderly SMooth® products to test and review for Mosaic Reviews. Not only was this a treat for me personally, but it came at the perfect time of year. Look at this generous package! I had preconceived notions about this line of products before I received them. Due to the name Udderly SMooth® -as in cow udders, and care for said udders- I pictured a thick, heavy, waxy/greasy type product which worked so well that people just didn't care that they were leaving their greasy hand prints all over things. I despise lotions, creams, etc. that leave your hands greasy, and you locked in the bathroom because your hands can't properly grip the doorknob without wiping half of the product off. Ahem, waste of money, ahem. Let me tell you that this is not the case with Udderly SMooth®. Just another life lesson in not judging a book by it's cover, or in this case, a lotion by it's name. I received two tubes of the Hand Cream, a 2-ounce and a 4-ounce size, and the smaller one has taken residence in my purse. It is the perfect size to keep with you for on-the-go. It has a super smooth consistency, and is a silky-white color. It absorbs effortlessly, and smells clean as well. I enjoy the simple scent because it is subtle, and neutral. Therefore, it doesn't override the scent of my perfume, but gives me a nice pick-me-up when I put it on, and my son and the hubby can use it without complaint of a "girly smell". I keep comparing the scent to soap, but I think that is because I feel that it has a fresh scent. Again, it is subtle, and doesn't linger, and I imagine it would appeal to most everyone, however, they do offer a fragrance-free variety for those with super-sensitive nostrils, or skin. This is the product that I use most frequently because I rarely allow my hands to stay dry for long-It gives me the heebie-jeebies. This time of year I feel like I should have lotions stationed at every corner of the house. Would it be tacky to have those pump-style hand sanitizers and lotions placed sporadically throughout my home? The Body Cream is a little bit thicker than the hand cream, however, is rubbed in and absorbs just as effortlessly. This surprised me, as most of the targeted body care items seem to be thick, difficult and messy. This comes in an open jar, so you can use as little or as much as you need. I will mention that a little goes a long way. My son gets SUPER dry elbows and knees in the winter, and we have been using the Udderly SMooth® Body Cream on it with much success! In the past I have used ointments to get the added benefit of using more of an oil-based product, however, it gets messy. I love that we are getting better results with this without the consequences of using the greasier ointments. Udderly SMooth® Body Cream - Thick, yet creamy! The foot cream is superb as well! It has a consistency similar to the hand cream and, again, absorbs completely leaving feet soft, smooth and smelling nice. I feel as though my feet are the most neglected members of my body during the winter because I constantly have thick fuzzy socks covering them. It's like I forget they have skin on them that is prone to all of this dryness too. Then, come Summer, I have to put a bit of effort into getting them ready for flip-flops and barbeques. Luckily, the opportunity to try the Udderly SMooth® has given me the motivation to keep up with them during the Winter months. Hopefully this will make for less work later on! Additionally, I like that it doesn't smell like mint - what is the relationship between feet and mint? Aren't our mouths supposed to smell like mint? Plus, they are sold at several common retailers. For the entire list, go here. 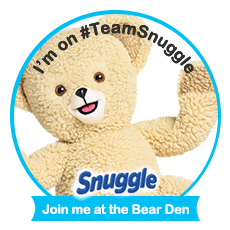 To keep up with the brand, and you want to because they host giveaways quite frequently, follow them on Facebook and Twitter! Check out what some of the other reviewers had to say on Mosaic Reviews! My son is getting to that age where he kind of secludes himself from everyone else. This is normal, right? It is almost like the pre-pre-teen weirdness. It makes you realize that the baby you once did EVERYTHING for, is getting a little more capable of doing most things *gulp* on his own. In an effort to do something together, and get him reading, I applied and was accepted through Tomoson to review a book perfect for his interests and a little above his reading level: Escape From Mercy Hall by Garth Edwards. The story takes place in an orphanage for abandoned kids named Mercy Hall (surprise, surprise?). 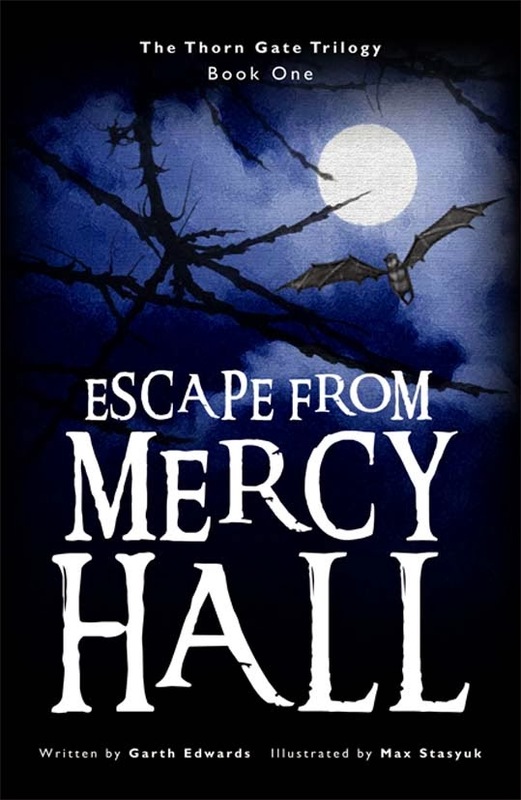 Some weird things happen when the main characters, Sam and George go on a search for their friend Milly, who made an attempt at escaping Mercy Hall in search of her brother Tom. Right from the get-go this book ropes you in. I loved reading this with my son because I could see his comprehension wheels turning when we would discuss what was going on and what might happen next. This book is a little over his reading level (he is only in third grade, this book is written more for Middle School aged kids) which is why I made sure we read this one together. We took turns reading, and we discussed when we came across a word he didn't know or understand. What was great about this was the fact that several of the special vocabulary words they have hanging on the wall in his classroom were in this novel, and he got so excited each time that one came up. Plus, the chapters are the perfect length. It was simple to sit down and read a couple of chapters together before bedtime. The world that emerges beyond the hedge of the Mercy Hall, called Littlewich, is full of twists turns and surprises that are out of this world - Literally, the characters (both people and animals) are quite intriguing! Luckily, there are few illustrations throughout the text to give you a bit of a visual representation of what is being described. I love this aspect about the book because at some point in life, we grow up. We leave behind the creativity and the imagination that makes childhood such a magical and innocent time. So quickly that is stolen away. My son still has a wild imagination (which most of the time I am truly thankful for), but Middle School tends to be the time when that changes. I love that we have this book on our Kindle now, and hope that my son will continue to read, and re-read it as he grows. We are looking forward to purchasing the other two books in the trilogy to see what excitement and adventure they hold! If you are interested in grabbing yourself, or that special child in your life a copy, you may do so from Amazon. I am one of those people who, unfortunately, STILL suffers from acne. 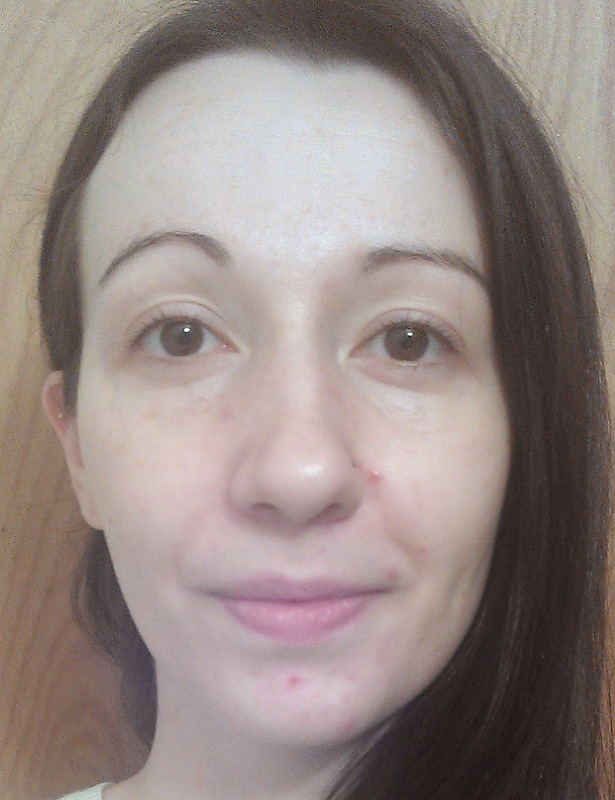 I have been fighting this battle since I was a teenager, and I have the marks, scars and pimples to prove it. Not something I am proud of, but hey, what am I going to do? I have to say that the only time that I have been able to enjoy clear skin (aside from my pre-teen years) was when I was pregnant. Unfortunately (or is it fortunately? ), I can't remain pregnant all of the time because I can't afford it! That being said, you can imagine my excitement when I received an e-mail from SheSpeaks that I would be receiving a complimentary bottle of Lancôme DreamTone to try out in return for my review. A $98 bottle of clinically proven results? Thank you sir, may I have another?!?! DreamTone is the next generation in dark spot correction. This customized skin tone correcting serum is so powerful, 72% of women dare to bare their skin. * The new DreamTone is 3 barely-tinted serums formulated to visibly correct dark spots, color imperfections and give you a more even-looking skin tone. It comes in 3 serums customized for your skin tone: 1- Fair, 2 – Medium, 3 – Dark. 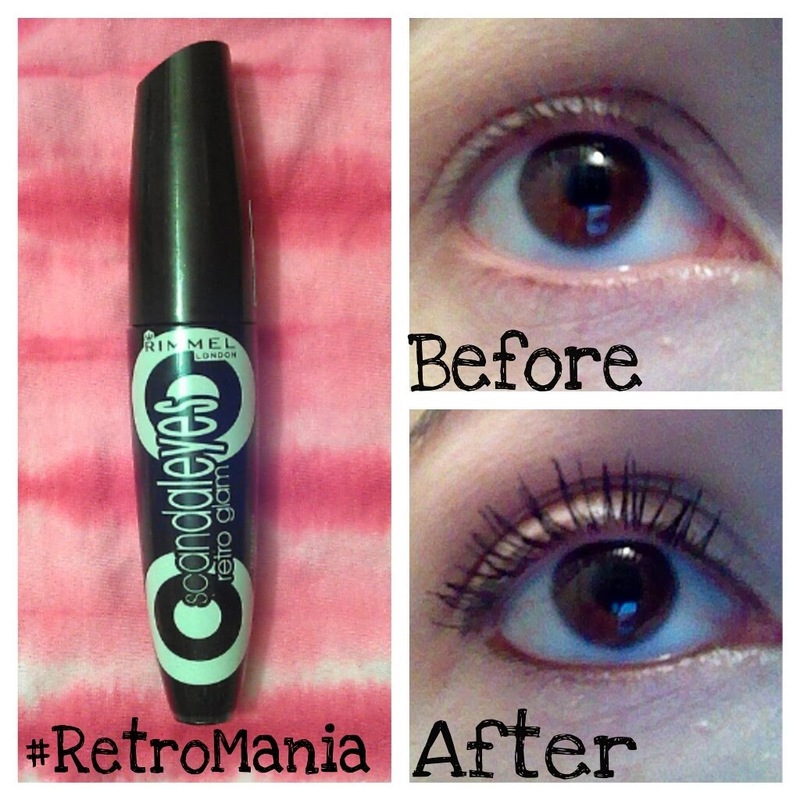 This product is slightly tinted, has a bit of shimmer to it, and smells divine! It smells a bit like roses to me, and that is one of my favorite scents of all time. This fact alone made me fall in-love with this stuff. Plus, anything that claims it will help out my poor skin, and is backed with clinical results is a little more believable in my opinion. The serum is to be used twice per day underneath your moisturizer. I have a pretty intensive skincare regime due to the acne-related issues, so I altered my routine to look like this: Remove eye make-up (at night), wash face, apply toner (I use witch hazel), apply 2 pumps (about the size of a pea) of Lancôme DreamTone, apply moisturizer. I found that it was simple to incorporate into my daily and nightly routine. The scent has a nice uplifting effect too! I definitely feel as though the Lancôme DreamTone has done a decent job of lightening up some of my long-lived acne marks and scars. The only wishes I have would be for it to target some of the current acne and be a bit more affordable (a girl can dream right?). I plan to continue to use this serum as part of my daily skincare regime until the bottle runs out. If I purchase in the future it will have to be through a promotion or as a gift from someone, as I personally cannot afford to spend $98 on a single product. 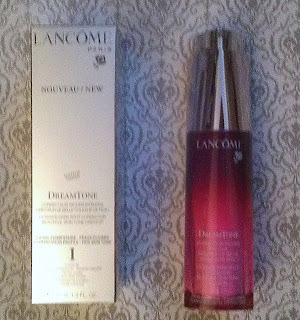 For women (or men) looking for proven results, who have the money to drop, I absolutely recommend and encourage them to try out the Lancôme DreamTone. 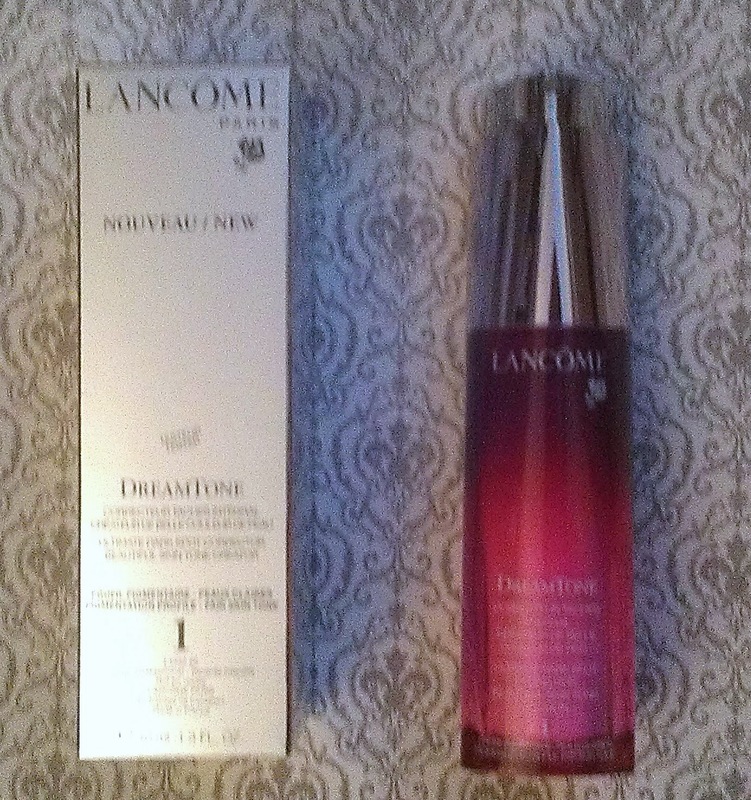 If you are looking for a brighter skin tone and mark/scar/dark spot reducer, I highly recommend going here (or your local department store retailer) to learn more and grab yourself a bottle of Lancôme DreamTone. Feel free to follow Lancôme on Facebook and Twitter to stay up-to-date with their line of high quality products, and learn more about the #bareselfie movement here! 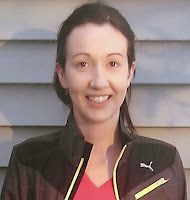 Disclosure: I received this product for free for review purposes from SheSpeaks. The opinions stated here are my own.